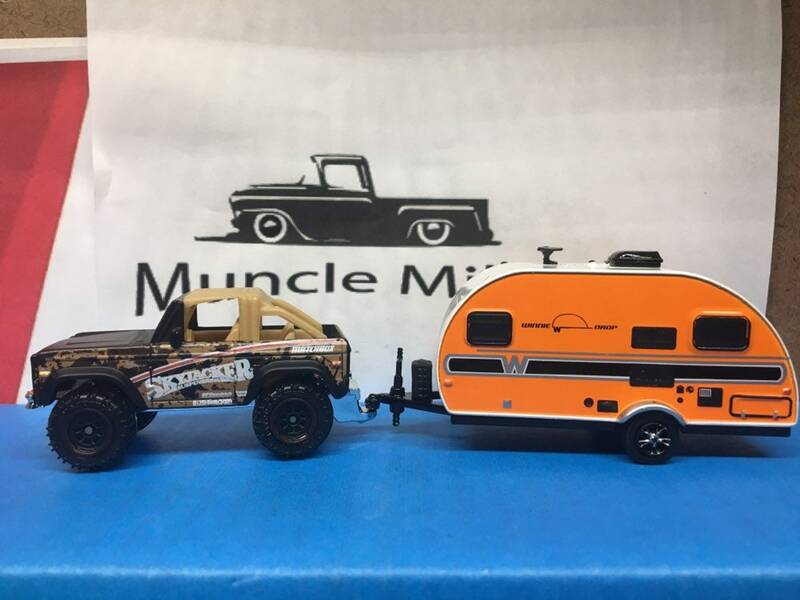 View cart “Custom Matchbox Skyjacker Ford Bronco & 2017 Winnebago Camp Trailer Combo ORANGE” has been added to your cart. These are super sweet combos that look goo anywhere! They sell fast and we only have a limited number so please get yours while they last! I combo Trucks and trailers when and as I can, ENJOY!